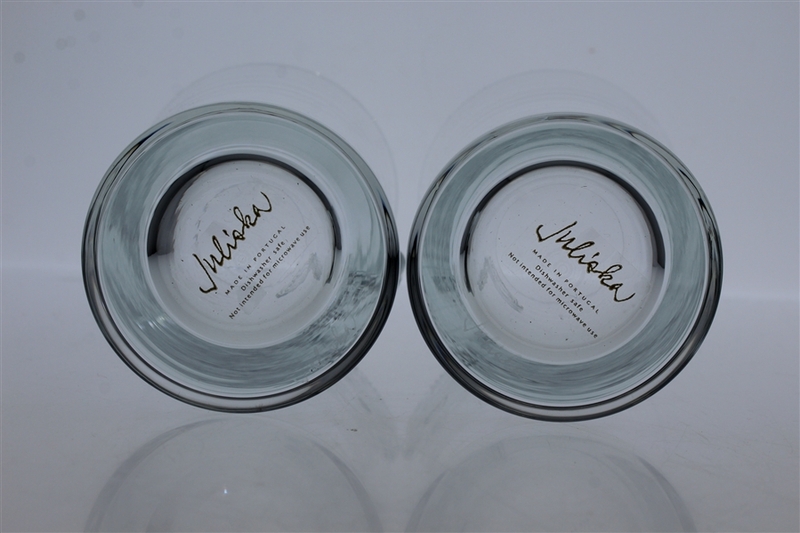 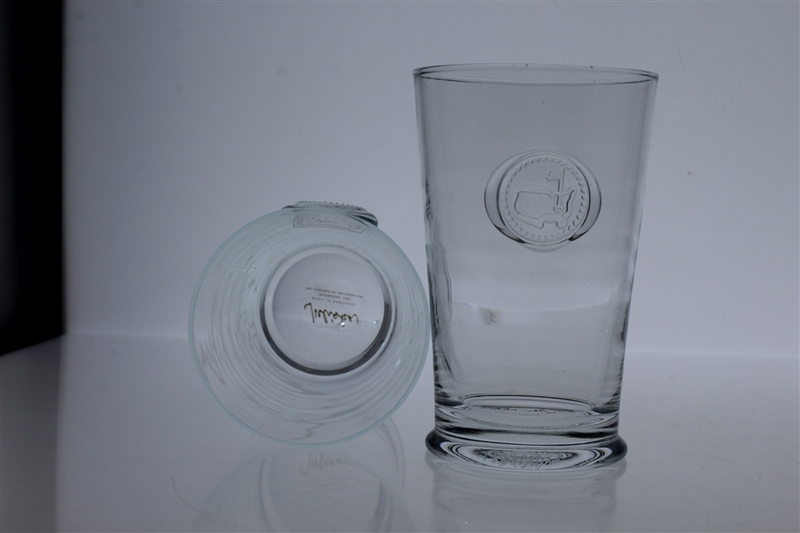 Featured is a set of hand crafted highball glasses. 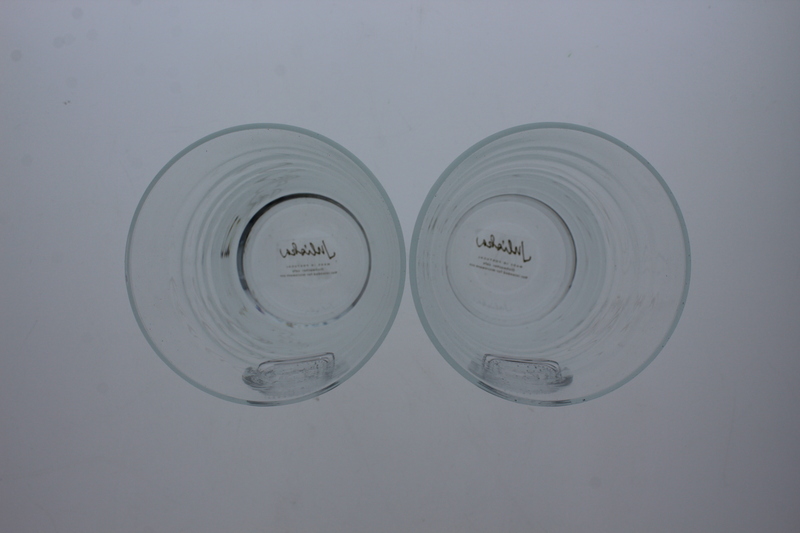 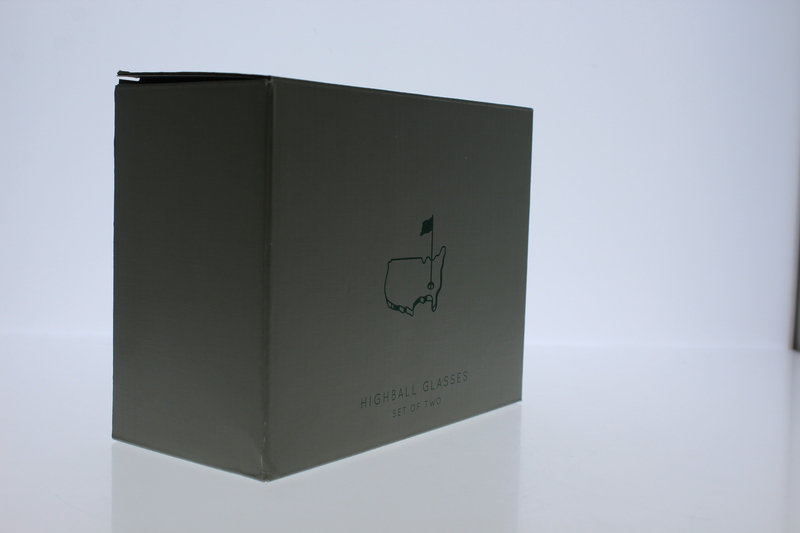 These masterful crafted glasses each have a glass seal containing a Masters logo on the front. 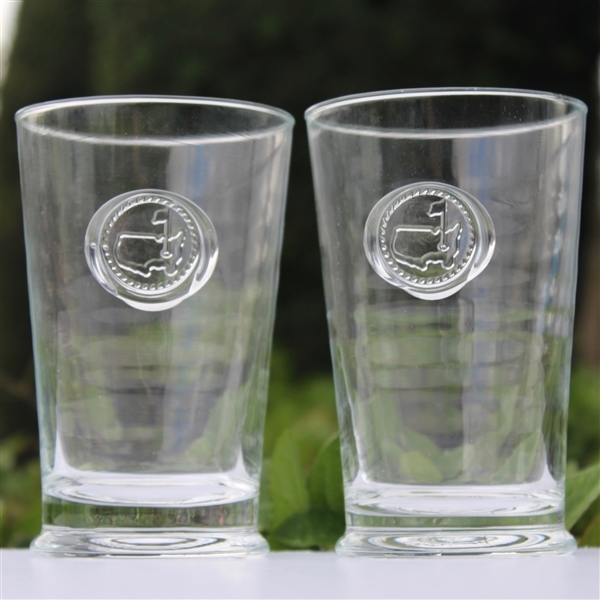 This adds a subtle flair to the set and makes it all the more intriguing. There is also tangible and intangible texture in each glass that creates a soothing and natural visual aesthetic.